Bev decided she wanted to cook turkey breasts for Easter dinner and as we discussed cooking and serving options she said “ let’s have Kentucky Hot Browns” to which I heartily agreed – not quite your classic holiday meal. If you are not familiar, a hot brown is basically an open faced, hot turkey sandwich with cheese sauce rather than gravy plus some other stuff. 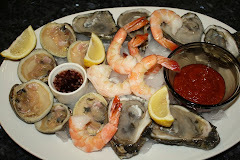 We’ve made them several times but opted for a little difference this time, especially after seeing the original made at the Brown Hotel (on TV), reading several recipes on line, and trying a different version at a restaurant. The biggest difference in the various versions appears to be in how they are assembled. 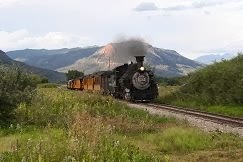 Here is a shot from the Brown Hotel’s version where they were invented. But before we get to the hot browns, lets look at the first part of the evening, which contained no fires this time (see previous post). Since we wanted to stick with our not quite your classical Easter meal, we began with chips, salsa, and adult beverages in the sun room. 1. In a medium bowl combine the mayonnaise, sour cream, onion, vinegar, sugar, salt, pepper and hot sauce. Stir until well blended. 2. 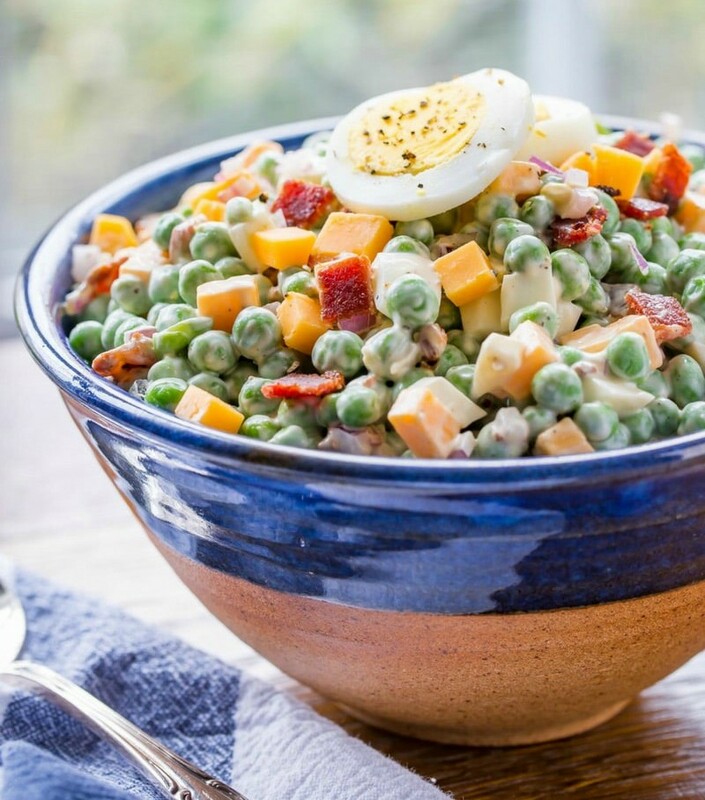 In a large mixing bowl using a rubber spatula, gently combine the peas, hard-boiled eggs, 10 slices bacon, and one cup cheese. Pour the dressing over the top of the peas and fold together just until well blended. 3. Refrigerate the salad for 8 hours or overnight. When ready to serve, gently stir the salad and adjust seasoning. 4. Garnish with additional chopped bacon, cheese and sliced eggs. Best served at room temperature. 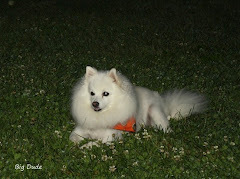 Since I got no shots of this, I just had to borrow one of Tricia's great pics to show you. Ours looked the same but with some shredded cheese. 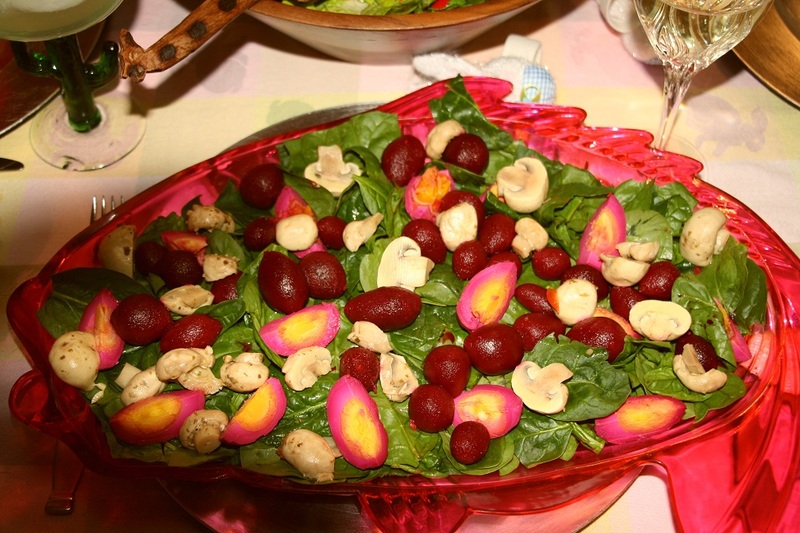 The other two salads were spinach and pickled beets served with Ken’s Raspberry Walnut Vinaigrette and a tossed salad with several homemade dressing options. Our friend Russ wanted to be sure he became famous on my blog so is an extra shot of him and his daughter Cynthia..
And now back to the hot browns where our first difference stems from an RV trip we took to Dale Hollow Lake where we ate at the restaurant at Dale Hollow Lake State Resort in southern Kentucky. Bev and Pat ordered the Hot Brown and oohed and aahed over it in part because in contained diced country ham, so we decided to add it to ours. Some of the changes I have made it the past have to do with eatability such as diced bacon is easier to eat than criss-crossed strips and I feel the same way about sliced or diced tomatoes so for these we used diced Roma tomatoes but I did stick with the bacon strips for photo purposes. The original uses Texas toast but the store had none so we decided to use a loaf of French bread cut on a bias for longer slices and it actually fit the turkey shape better – we didn’t remove the crust as we like it. Our last deviation was that we used Parmesan rather than Romano cheese in the Mornay sauce as it was what we had on hand. 1. Debone the turkey breasts per this video (http://www.finecooking.com/article/how-to-bone-a-turkey-breast), brush with oil, and roast at 350F to an internal temp of 160F. 2. 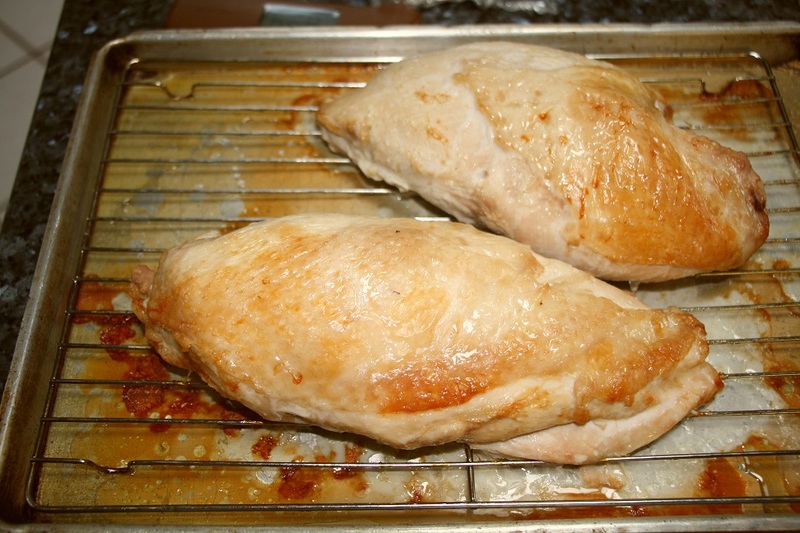 After roasting, I wrapped tightly and put in the 165F toaster oven until we were ready to use it. 3. In a two-quart saucepan, melt butter and slowly whisk in flour until combined to form a thick paste or roux. Continue to cook roux for 2 minutes over medium-low heat, stirring frequently. Whisk heavy cream into the roux and cook over medium heat until the cream begins to simmer. Remove sauce from heat and slowly whisk in Parmesan cheese until the Mornay sauce is smooth. Add nutmeg, salt and pepper to taste and cover to keep warm. 3. Toast the bread and slice the turkey into ½“- ¾“ thick slices of (thickness will depend on size of bread and number of sandwiches – I sliced it at ½“ and had enough for another sandwich). 4. For each Hot Brown, place one slice of toast on an oven safe dish and season with S&P. 5. Spread the country ham and tomatoes over the turkey. 6. Add about ½ cup of sauce over everything, completely covering it. Sprinkle with additional cheese. 7. Place entire dish under a broiler until cheese begins to brown and bubble. Remove and sprinkle with paprika, cross two pieces of crispy bacon on top and garnish with chopped parsley and a little more cheese. The meal was a big hit and I’m not sure whether the pea salad or the hot brown was the favorite and the other salads were also well liked, especially by those who like beets. 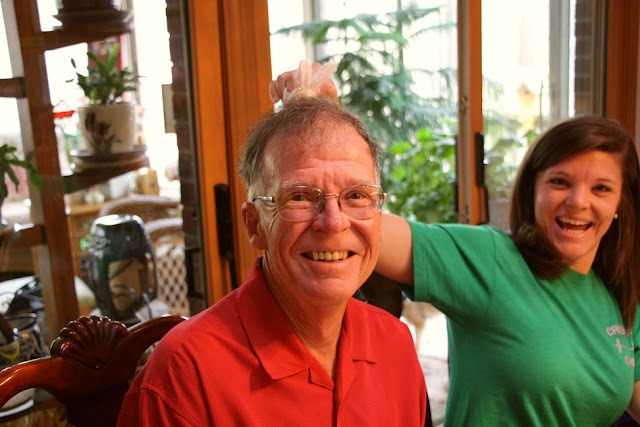 Russ even said he loved the pea salad even though he doesn't like peas.While not the traditional meal, it worked very well to use just salads and the hot browns with no other sides. We finished the meal with some delicious desserts provided by our neighbor Pat. Aww thanks for trying the pea salad and I love that you added more bacon and cheese - you can never have enough bacon! Your Easter looks like it was fantastic and now I won't rest until I have that sandwich - either by making my own or finding it at a restaurant. Thanks Larry! Love it! What a fun and tasty menu. 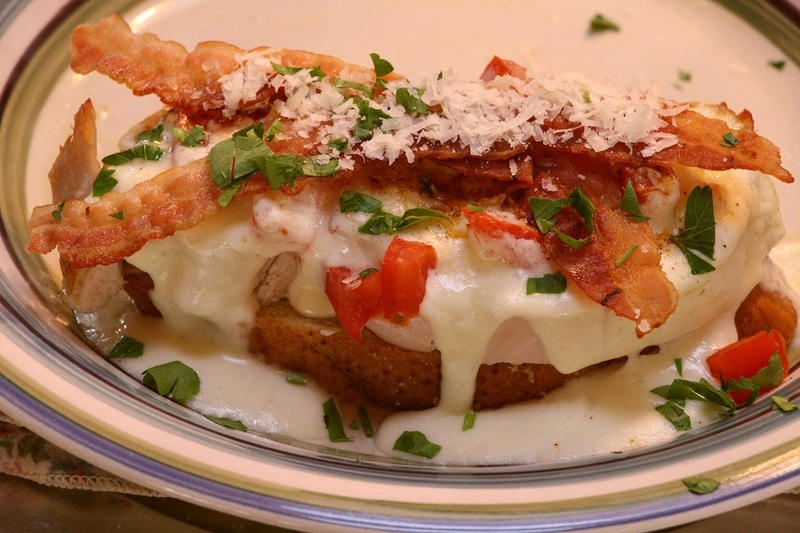 I've never had a Kentucky hot brown before and now I am craving one. That pea salad is like one I make and we love it. Also love the pickled beet salad, as I've still got a good supply in the pantry and always looking for ways to use them. And my-gosh! That Kentucky Hot Brown looks fantastic. I'm going to have to try making that! And, I'm officially asking Russ for his autograph! 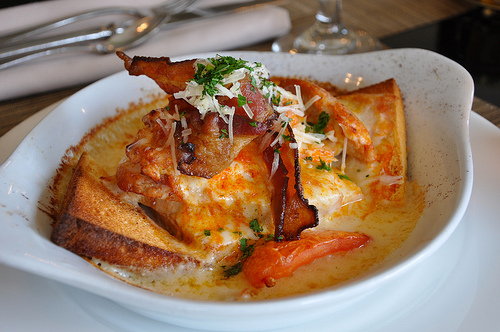 Since I'm from Louisville, I've eaten many a hot brown there at the Brown Hotel, and they were so delicious! I've made them, but not as good so will have to try your version. Salads look tasty too!